Avocados are fruits that are creamy and buttery in nature. It is found in Africa, Asia, America and in almost all parts of the world. It is commonly called pear in African countries. Even though it has benefits when eaten, it also has amazing uses for hair and skin. It is a good source of healthy fats (unsaturated fats) and contains many vitamins and minerals. Studies have showed that Avocado contains a compound called beta-sitosterol. Beta-sterol is able to reduce bad cholesterol levels in our system and thus prevents bad cholesterol from destroying our heart. Pear is significantly high in potassium. Potassium helps to regulate the effects of sodium. This is because an increase in the intake of sodium is responsible for an increase in blood pressure. 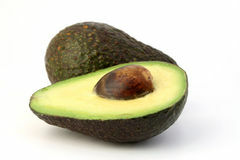 Avocado contains chemicals that promote good vision and enhance the overall health of the eye. These chemicals (zeaxanthin and lutein) help in reducing our risk of developing macular degeneration due to ageing. Pear contains Vitamin C and E which helps in the growth of the cells of our skin. Pear has also been used in facial products to treat skin conditions such as acne. Pear contains a significant amount of dietary fiber that encourages regular bowel movements. These are very essential for digestion and prevention of constipation. Some studies have established a link between consumption of pears and a decreased incidence of certain types of cancers such as breast, mouth, cervical, stomach and prostate cancer. Researchers have attributed this to the presence of dietary folates which helps in DNA and RNA production. In order to prevent neural tube defects in babies when they are born, it is recommended that pregnant women consume Folate. Studies also show that folate can prevent miscarriages.